Our Earmold Australia® In Ear Music Monitors are made on the spot using our Instant premium silicone made directly from your ears on the spot and ready the same day, no more waiting weeks for your music monitors to come back. It only takes 10 minutes to make your Earmolds and they will be ready within the hour in most instances. Only Earmold Australia® uses the highest rated medical grade instant silicone that offers up to 40.5db reduction at 4000 Hz yet will still let low level sounds such as voice through. We have developed the ultimate in comfort, sound quality and ease of cleaning. Along with quality Single Knowles Balanced Armature you receive crystal clear music from your device and the Earmolds are made to slim fit so they won’t dislodge while taking your helmet off and on and will stay in place when exercising or moving around so you can use them for various activities such as motorcycling, motor sports, running, cycling, workouts, traveling, meditation, shooting, skiing etc. Using a 3.5mm Stereo connection they will plug directly into most phones, IPods, MP3’s, GPS units and will fit directly in to the Sena Bluetooth communication units. 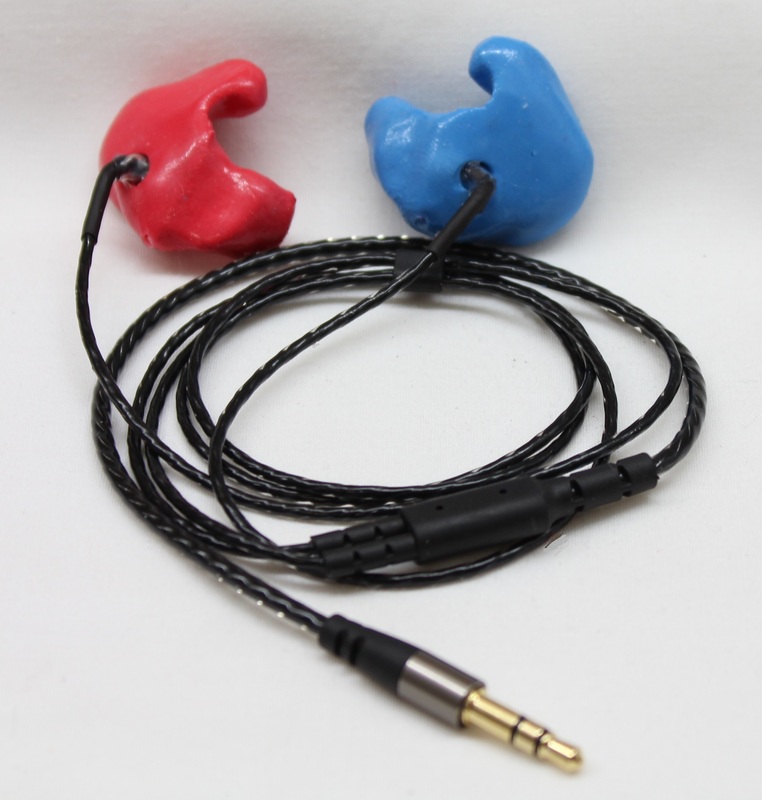 Available in a 3.5mm Stereo or Mono connection fitted to a strong 60cm cable that has a reinforced Y section and the wire harness has been heat sealed to prevent breakage at the jack they come with a 12 month warranty on the electronics and a 2 year integrity warranty on the Earmolds for extra piece of mind. 60cm in length and compatible with our extension lead, volume control and microphone leads. Available in a Gold 3.5mm Stereo Connection or a Silver 3.5mm Mono connection with a re-enforced Y section for extra strength.